There is no doubt that we needed a win this afternoon against Birmingham to put the top two under pressure in the U18 Professional Development League and at half time I don’t think anyone would have expected anything but a victory. We led 2-0 and could have been further ahead against a Birmingham team who, in fairness, had offered very little during the opening 45 minutes only for them to turn things upside down in a crazy second half that saw us conceded six goals. Will Harris, who recently learned that he had been rewarded with a further year at Burnley, was the only second year scholar in a very young side that started the game so well and went in front in only the fifth minute when Ben Woods, from the under-16s, scored after being played in by captain Cricky Conn-Clarke. That lead was doubled on 25 minutes through Jayden Major, this time set up by Vinnie Steels and at that point we thought this was going to be a comprehensive victory for the young Clarets who had been unbeaten since the beginning of December. It was still 2-0 at half time but how things changed in the second half. For those who joked that they might have sent on a few ringers at half time, the only change was the introduction of one new player, but what a different second half it was. For six minutes it remained at 2-0 but then goals on 51, 52 and 53 minutes turned the who game upside down with Birmingham going 3-2 in front. There was no real response from us at all while Birmingham might have added more goals. When they did, it was another three goal burst, this time on 70, 71,and 76 minutes which completed the scoring in a 6-2 defeat. It’s the second time in four days we’ve lost a two goal half time lead, having drawn 2-2 at Palace last Saturday. 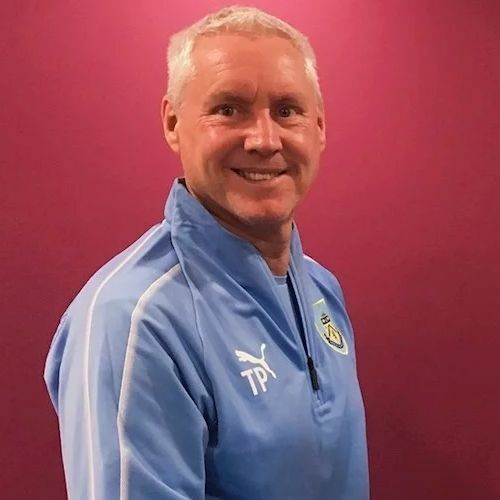 Coach Tony Philliskirk, who saw his side lose for the first time since taking over at the beginning of the year, said: “It’s the first time since I’ve been here that I’ve seen that, so it will be interesting now to see what the players’ response is. In the past, when we have faced a bit of adversity, we have seen the players dig in and really grind out results at times or defend for their lives and be disciplined and really run and fight for each other. The team was: Harry Allen, Joel Connolly, Joe Conley (Udoka Chimna 80), Edon Pruti, Matty Rain, Mitch George, Cricky Conn-Clarke, Ben Woods (Ne-Jai Tucker 62), Vinnie Steels, Jayden Major (Rhys Fenlon 60), Will Harris. Sub not used: Kai Calderbank-Park.